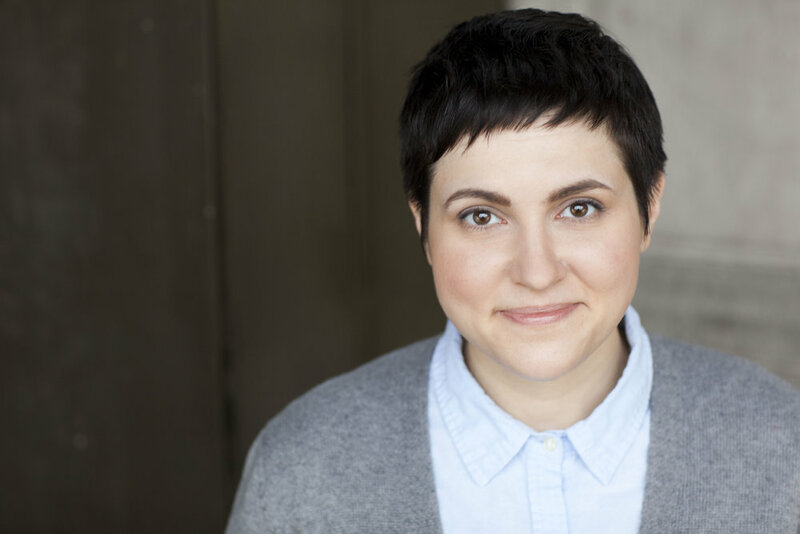 In honor of TodayTix Comedy Month, we chatted with one of Chicago’s funniest entertainers, Julie Marchiano! She gave us the inside info about the best comedy in the city, as well as where you can catch her onstage. Stick around for all that this self-proclaimed Hufflepuff has to say. Let’s see…I was a theater major in college and did improv on the side, and eventually decided that I wanted improv and sketch comedy to be more than my side hobby. So, I moved to Chicago in 2011 and I’ve been plugging away ever since. Speaking of plugs, I don’t have any besides my current revue at The Second City, Fantastic Super Great Nation Numero Uno, running every Thursday–Sunday in the e.t.c. Theater. I love Chicago comedy because everyone performing here is a fighter. It is cold and miserable most of the year and hard to leave your house, and to get your audience to leave their houses. We perform in blizzards because we have to, and because we want to. 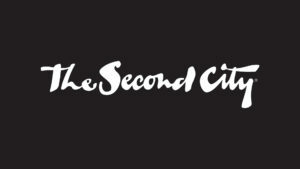 When I was on tour with The Second City, I got to see so many comedy communities that are blossoming around the country. It was one of the best parts of the job! I loved seeing the Houston and Austin scenes in Texas, and Pittsburgh’s scene when we toured there. It’s just really neat to see people creating these communities outside of Chicago and bringing improv to parts of the country that have only ever seen “Whose Line Is It Anyway?” on TV. Besides the e.t.c. stage, I love performing at The Sh*thole. It is the most supportive room in the city, and they have a variety of performance styles in a show (musicians, improv, stand-up, poetry), AND the location is secret and usually different each time. I admire my cast at Second City very much! Truly the kindest and smartest people around. I don’t deserve them. What shows or venues would you recommend folks check out during Comedy Month? I’ve been spending a lot of my days off at The Annoyance Theater, and I just really love it there. They have shows seven nights a week and they’re weird and dark and really, really great. Messing with a Friend at Annoyance is perfection. Glass Basement is a show at iO that I admire a lot. It’s all ladies, and they spend part of the show improvising, part of the show answering questions about comedy and the world at large, and part of the show improvising with the audience. They also often raise money for great causes and charities and I just think that’s an incredible use of our platform as comedians: to listen and lift others up. Which Harry Potter house would you be sorted into and why? 100% Hufflepuff. I’m loyal and love snacks! Play or Musical: My boyfriend and I caught King of the Yees at The Goodman not too long ago and it was AMAZING. It has since closed (and just finished a run in LA) but if it ever comes back around, you should totally see it. YouTube Video: That Lonely Island video from a few years ago with Michael Bolton. It still holds up. Twitter Account: Jeff Murdoch (@jsmurd), Mark Campbell (@themarkcampbell), and Ariel Dumas (@ArielDumas) are all friends of mine that have killer tweets! Hi, guys! Comedy Up-and-Comer: Lauren Walker (who tours with Second City, among other things) is truly amazing. We went through some classes together a long time ago and now we both work together, more or less, and I just think she is the funniest person alive. Hi, Lauren! How should people follow you and your work? I have a website (juliemarchiano.com), a Twitter (@juliemarchiano), and an Instagram (@juliemarchiano)! I have a Facebook, too, but I’m really only using it to sell furniture right now. Take advantage of NO FEES on comedy shows in Chicago until the end of August on TodayTix, with prices as low as $5! And be sure to get yourself to one of Julie Marchiano’s performances to laugh like never before. You can enter the Lottery for a chance to win $10 tickets to FANTASTIC SUPER GREAT NATION NUMERO UNO. Let us know how you’re celebrating Comedy Month on Twitter and Instagram!